Diagnostic center is a place where different medical examinations are carried. A diagnosis or medical examinations are done on patient to check whether the body is carrying any disease or symptoms. Based on the diagnosis, treatment is given to the patient accordingly. 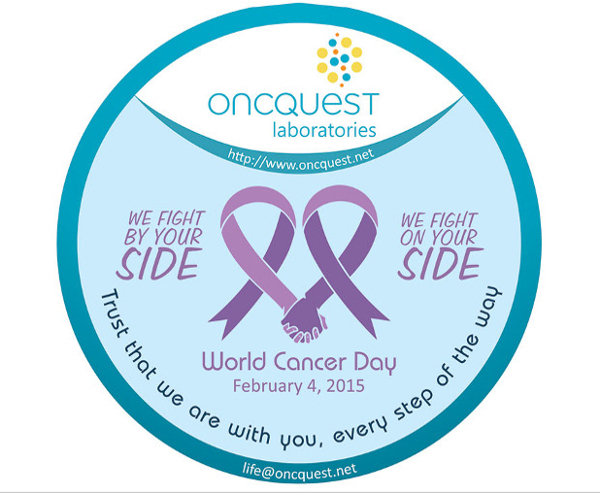 Oncquest is a well known testing lab which has its Pathology diagnostic labs in Mumbai and other parts of India. We at Oncquest are delivering over 30 million tests a year, catering to more than 20,000 medical Laboratories, Hospitals, Nursing homes and 2,00,000 Consultants. We implement the latest technology available and our labs are equipped with molecular technology including fields such as bioinformatics, pharmocogenomics, companion diagnostics, proteomics and biomarker studies. We are also equipped with an integrated research facility and an advanced genetic oncology wing, thus expanding our scope of testing. We are a certified and accredited cancer diagnosis lab by the National Accreditation Board for Testing and Calibration Laboratories (NABL) and College of American Pathology (CAP).